In this regular column of the free, online magazine Beyond Weather and the Water Cycle, the author looks at the importance of conserving water and practicing good conservation habits daily. 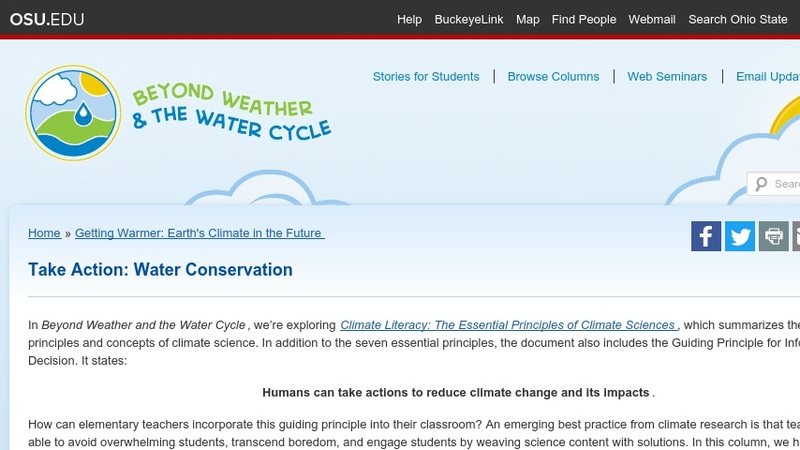 The column is designed for teachers in K-Grade 5 classrooms and presents concepts of climate literacy that are appropriate for young children. Identified online resources provide data collection activities, lessons, and games.